And after taking a couple of weeks off he almost wasn’t going to come play the Zurich Classic of New Orleans this week, but felt a responsibility to the event as the defending champion. One of his four PGA Tour victories came at this very sight last year. Let’s face it, Watson is also probably the biggest draw this week for crowds, and is expected to have a big following when he tees off on Thursday morning. 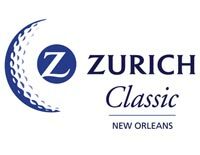 But he is not at the top of the list of Odds To Win the Zurich Classic of New Orleans at Bovada Sportsbook. That would be the No.2 ranked golfer in the world Luke Donald. And you can bet that Donald has some motivation, after losing the No.1 ranking to Rory McIlroy for a second time this year. It’s about time for Donald to step up, he has been one of the most boring No.1 players in the world ever. His personality is boring, just the way he plays the game is boring. Don’t get me wrong, the guy is a great talent. But he doesn’t hit the ball far, he doesn’t come up with the miracle shots like Bubba or Rory or Tiger, and frankly most people didn’t even know he was ranked No.1 outside of golf fans. There are some other notable players to pay attention to in the tournament this week as well, including Keegan Bradley, Justin Rose, Steve Stricker, Webb Simpson and Nick Watney. All of whom are among the top favorites to get the victory. This is definitely the strongest field on Tour since the Masters, as things get rolling toward the Players Championship in two weeks.